ORCiD provides a persistent digital identifier that distinguishes you from every other researcher. 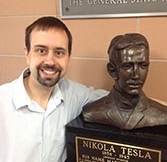 This means that it will be less likely that your name will be confused with another researcher with a similar name, ensuring that you get the credit you deserve for your work. Unlike your work email or identification number, your ORCiD ID follows you when you move. You can include your ORCiD identifier on your publications, grants and even your web page. You can also link your ORCiD ID to other services such as LinkedIn and Researcher ID. 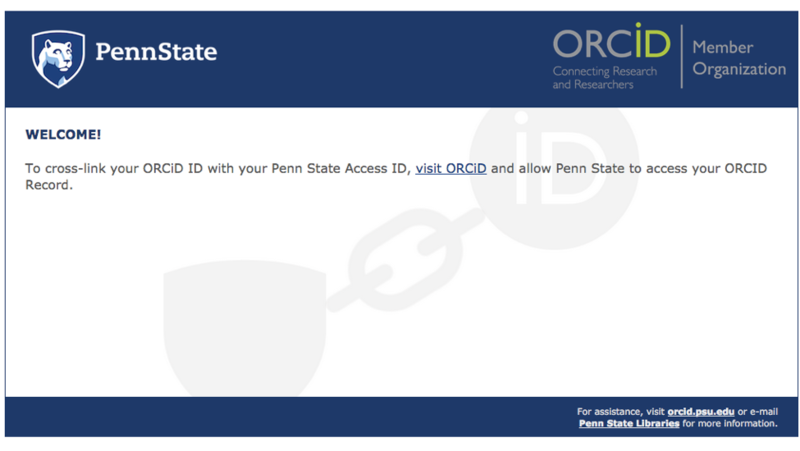 If you already have an ORCiD ID you can link it to your PSU log-in using the steps below. If you don't have an ORCiD ID you can follow the steps below as well, but there will be one extra step. Click the "Visit ORCiD" link. 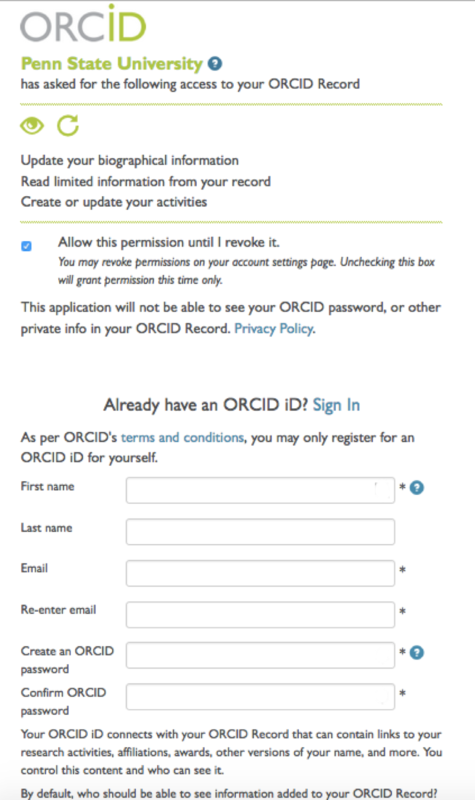 You will need to sign into ORCiD using your ORCiD credentials one last time. This ensures that it is actually you making the link. 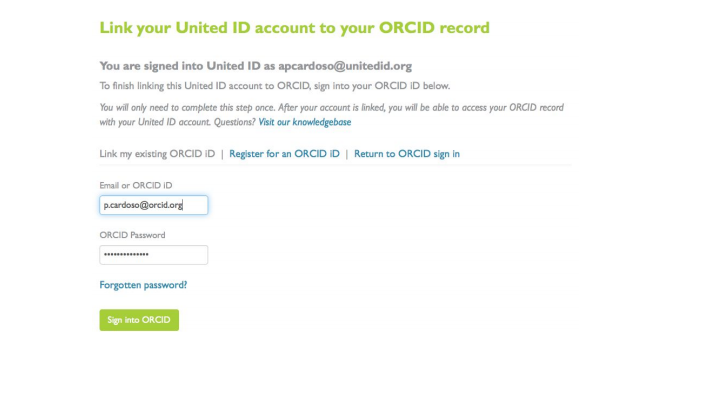 If you don't have an ORCiD account you may create one now. You should check the "Allow this permission until I revoke it." box. 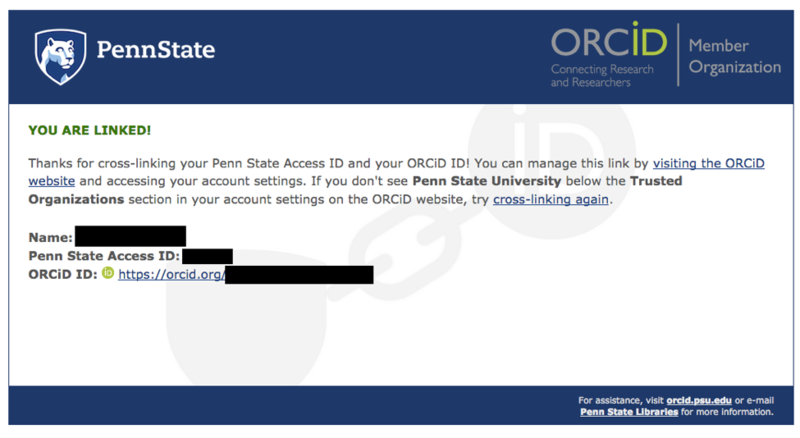 You can now login to ORCiD using your Penn State credentials by choosing the "Institutional Account" link. If you have already done step 6 you will see Penn State as a suggested institutional sign in. 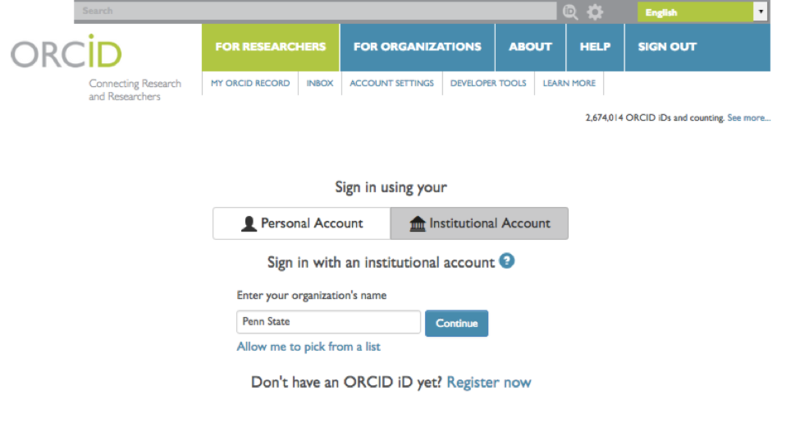 Now that you have an ORCiD you can start managing your identity! The first thing you should do is go to the ORCiD website (https://orcid.org/) and fill out your profile, describing your employment history, funding record and publishing record. In many cases, when you write a grant, or submit an manuscript for publication, linking to your ORCiD ID is built into the workflow. You can also include it on your website and other creative achievements as you like. It is your ID!